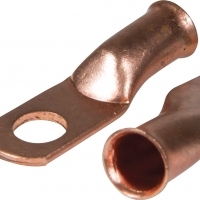 Battery lugs is battery's wire strength.It's is used for electrical industry.We also work on battery terminals. Our company only produce high quality automotive battery and high impact resistance battery container with competitive price and fast shipping, polyproplene battery container, battery separator. Short on time? Let batteries sellers contact you. Type/size of seperator: W x T 122 x 1.4 130 x 1.7 138 x 1.1 140 x 1.8 139 x 1.8. Type - NR : 55423 Replacement Type - NR : 55218, 55427, 55531 Hold down : B3 Assembly layout : 0 Capacity (Ah) 20 Hrs rate : 54 Cold cranking : 300 Dimension L 249 W 175 H 175. Type : 40 L Volt : 12 Number of plate/cell : 9 Capacity (Ah) 20 Hrs rate : 32 Cold cranking : 250 Dimension L 195 W 125 H 198 T.H 220. Type - NR : 54533 Replacement Type - NR : 54519 Hold down : B4 Assembly layout : 0 Capacity (Ah) 20 Hrs rate : 45 Cold cranking : 190 Dimension L 249 W 175 H 175. Brand: IBM Color: Black Size: 206.90x63.60x23.10 mm Spec: 10.8V 4400 mah Brief: IBM X60TH Laptop Battery,the mould is developed by ourselves, also the protection board tool.